Caroline got her first American Girl Doll, a Bitty Baby, last year for Christmas. She named her Harper Mae. Harper has since become a member of the family. She travels everywhere with us and has her own luggage set. Caroline loves to play mommy and is a very good one. She tucks her Bitty Baby into her cradle at night and she sleeps right next to her. For family events, Harper gets dressed up into her party dress and joins in the festivities. This year, Harper is getting some of her own Christmas presents. She has already opened a couple of packages from family members. 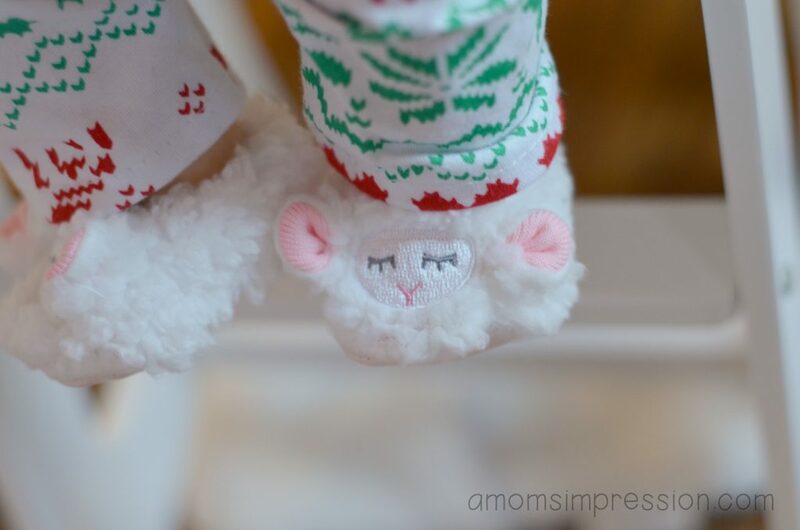 Aren’t Harper’s slippers adorable? What is even better is that Caroline got a set to match! These two are inseparable, so it is fitting that they are now dressing alike! I am constantly looking for toys for my children that don’t require a battery but a good sense of imagination. Baby dolls are the perfect toy for developing toddlers. Having a baby doll to take care teaches young children how to be responsible as well as to use their imagination. I remember playing with my dolls as a child. I love that I can now play with them again with my daughter. American Girl is a company that I have fallen in love with. They have taken the doll industry by storm and there is a reason for it. Their high quality materials and abundance of accessories make any little girl dream big. This is something I can encourage my daughter to be apart of. That is right, I love Caroline’s Bitty Baby so much we decided to teach her how to take care of siblings. Bitty Baby has so many accessories and clothes available that is will be fun to see how the two of them develop different personalities. I’m sure next year she will be more interested in one of the bigger American Girl Dolls, so this will be a fun year experimenting with the baby twins. Bitty comes with your choice of 3 sleepers and a diaper, but there are more buying choices if your interested in buying more accessories initially. Indianapolis has a temporary American Girl store in the Castleton Mall that will be here through January so you can go and check out everything that they have to offer. I am crossing my fingers that they will decided to open a permanent store in Indy soon! Until then, you can find Bitty Baby and all of her accessories online on the American Girl website. 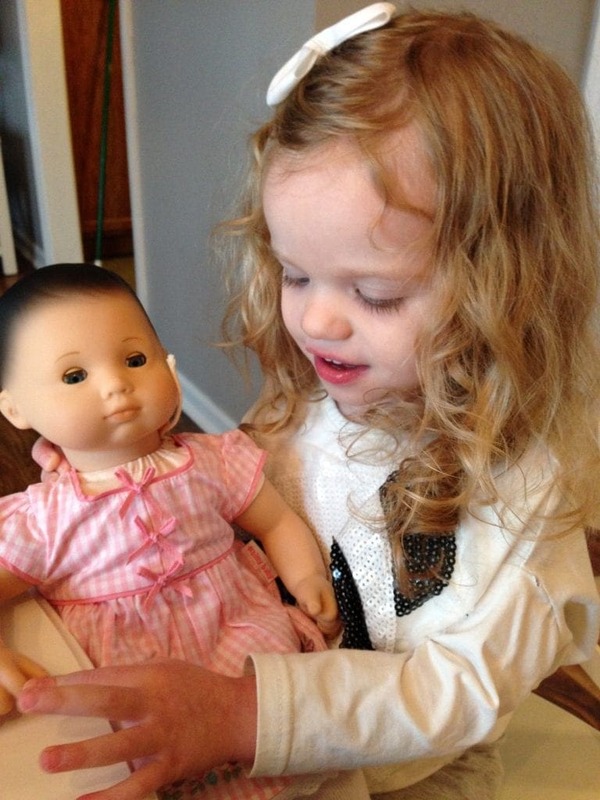 A huge thank you to American Girl for sending us a Bitty Baby for Harper Mae and Caroline! « Fun, Kid-Friendly, Ways to Ring in 2016!